Running a thrift store can be a great way to earn some additional income or help out a non-profit organization. Finding the right kind of space to do it can be a challenge. However, did you know you could potentially run a second-hand store from a storage unit? Depending on where that storage unit is and the policies of the rental company, you could find yourself running a simple, successful business. In this blog, the storage rental pros at Affordable Family Storage will go over a few tips for running a storage unit thrift store. Renting a storage unit just for storing belongings is one thing, but renting it to use as a thrift store requires many extra layers of consideration. Before you decide to open any kind of second-hand shop, you need to decide what your plan is. Many people wrongly assume that a thrift or second-hand store is simply a junk shop that sells used items no one wants anymore. 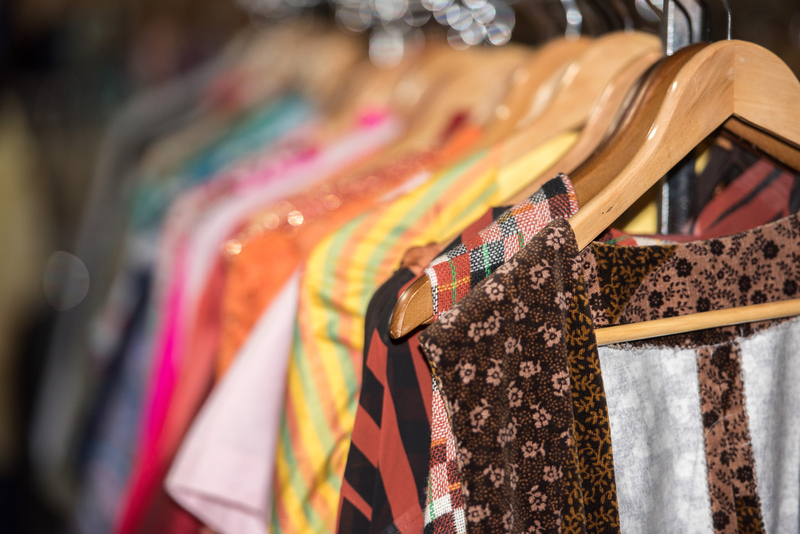 Successful second-hand stores make money by appealing to a niche market. Think about what you like and consider opening a store based on any ideas that come from it. A few examples of what we mean here are things like record stores that sell old vinyl, second-hand clothing stores that sell vintage items of clothing, or antique jewelry stores. These days, the nostalgia for older technology opens up opportunities to base a second-hand store idea around something like old video games, home consoles, and arcade machines. With enough planning, preparation, and careful thought, you could carve out your own unique section of the second-hand market. Give careful thought to your supply line, too. Where do you plan to get your stock? How regularly and reliably will you be able to get it? One challenge you might find yourself faced with if you’re open a second or thrift store is losing business to the internet. For many people, the internet is their go-to source for second-hand, used, vintage, or antique items. Second-hand or uniquely crafted items are the bread-and-butter of countless online sellers who have no need for a physical location. If you’re looking into open an actual, physical second-hand store in a storage unit, think about how you can make it stand out. The storage unit itself is one thing you could emphasize to catch someone’s eye, but there are plenty of other ways to craft a theme around what you’re selling. That said, you should also embrace technology. While few second-hand stores have online storefronts, an online presence is a great way to get people to your location. Even if you’re just setting up a social media profile to engage with people, it makes a big difference. In store, there is a lot of technology available to make running a business out of somewhere like a storage space much easier. Remote payment options that work from tablets and smartphones are a great example, and people are much more likely to buy from you if you’re a thrift store that doesn’t require cash. Outside of planning your business and what you want to sell, the most vital thing is to know you’re doing it legally. Depending on where you’re renting storage space, certain licensing laws and regulations will prevent you from running a business from inside an actual unit. Before you make a decision, you should talk to the owner or manager of a storage facility. Explain what your plan is and ask if there are any expectations - legal or logistical - that they might have of your potential store. Ready to open your successful storage unit second-hand shop? Whatever your storage needs, get in touch with Affordable Family Storage today. We can help keep your things secure in our modern, climate-controlled units short and long-term. Our customer service team is available to help 24 hours a day and will be more than happy to take your call.